DoveSoft originally chose Serif WebPlus for its ease of use. Whether you're a hobbyist, small business, club, charity -- anyone -- you can make your own website in minutes without using any code. Start from scratch or use professional design templates for the fastest finish! It easy for anyone to use especially if coming from a DeskTop Publishing background. 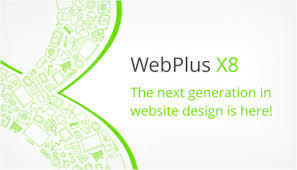 IMPORTANT - On 15/03/2016, Serif announced that they were withdrawing from development of WebPlus X8. This caused considerable furore as evident on their User forum, but it is unlikely that Serif will withdraw support for the product for at least two more years. 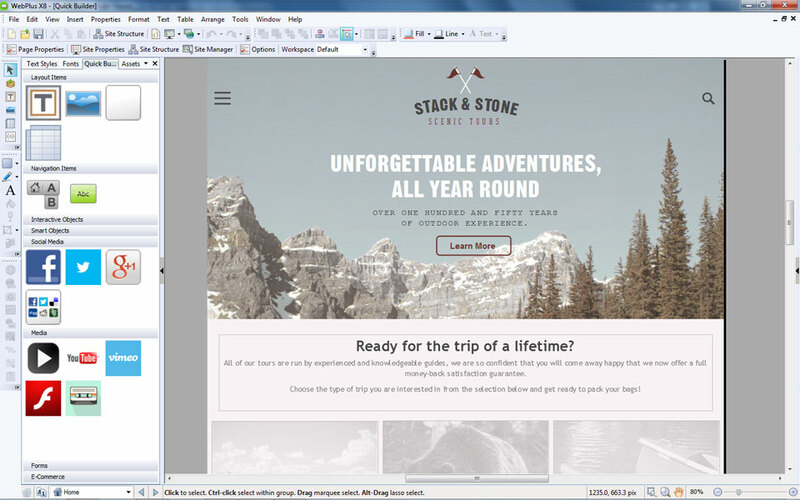 Designers who prefer to use this visual type of software may now prefer to look elsewhere for a similar but longer term product such as Xara WebDesigner 365. If you are not a current user of Serif WebPlus, DoveSoft recommend using alternatives. The video to the right has also been created by Serif and more of the same can be found on YouTube by clicking here and selecting from the offered list. Similarly YouTube videos by GotClicks are available for viewing. We recommend the commercial version of Serif WebPlus if creating desktop sites for its ease of use. Unfortunately, it uses absolute positioning which, simply put, means that its sites are normally not responsive and do not re-size to fit the viewing device. However, you can create a mobile version of your site and use Serif generated code to detect the viewing device screen size and switch automatically to the mobile or desktop version as appropriate. Further, as in this demonstration here, DoveSoft can also show you how to use Serif WebPlus to make responsive sites by using panels and minor modifications to the code. With Serif WebPlus you can achieve very effective web layouts and even utilise cheap commercial content management systems, such as ImpactCMS by Richosoft, to include in your site. Other valuable commercial offerings are available from Richosoft and Serif Addons. Finally, it is worth pointing out that the commercial version provides free web server space to host your web site and is easy to update and maintain from within Serif WebPlus.